So elections are under way in Zimbabwe as I write this. Robert Mugabe, who has been in power for 33 years so far, is facing off against Morgan Tsvangirai in a competition that’s heating up. I don’t really think I ever expected Mugabe to be ousted before he died, and I would hazard a guess that there are many out there who feel the same. However this election is so different from the last one five years ago, in that there has been very little violence this time in the lead up to polling. For a start, Tsvangirai is actually still in the running, unlike last time where violence caused him to withdraw his nomination. Mugabe has promised to retire should he lose this election and it would be surprising if he genuinely had the people’s blessing to continue his (mis)management of the country. Tsvangirai and his party have accused Mugabe of doctoring the electoral roll in order to win the election, a claim Mugabe has of course denied. 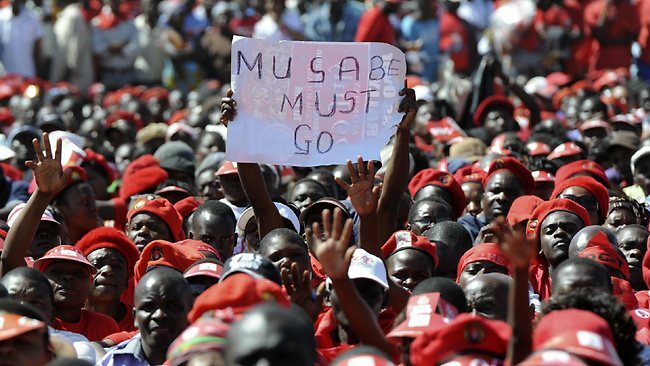 What remains to be seen is of course whether Tsvangirai’s claims are true and, if so, whether it worked. This really could be the dawn of a new era for Zimbabwe, or it could be a blistering disappointment for the international community who will end up waiting another good five years for the opportunity for change. Fingers crossed!